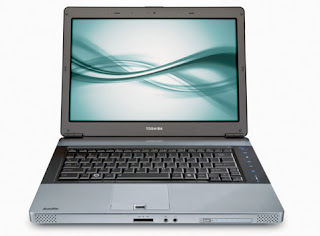 • Mobile Intel Pentium 4 – 2.66 Ghz • 512 Kb L2 Cache/ 533 Mhz FSB • 256 Mb DDRAM-266Mhz-PC2100 – MAXIMUM EXPANDABLE 2.048Mb • 30 Gb IDE HDD • DVDCDRW Optical Drive • 15.0 Inch TFT Active Matrix (1024 X 768) • Intel 852 GME integrated Graphics Controller, 64 mb • V.92 Data/Fax Modem. 10/100 Ethernet LAN network interface card. Ring wake up resume. Wake-up On LAN . Garansi 1 Tahun. Processor : Core i3-M350 2,26GHz Memory : 2048 MB DDR3 Display : 14.0 inch HD Led LCD Harddisk : 250GB Optical Drive : DVDRW Graphic : Intel HD graphics shared 698MB, dedicated 64MB Operating System : No Operating System Guarante : SSSC 1 Tahun Battery : Battery 6 Cell Feature : Integrated 10/100 Base Ethernet, Integrated Wifi, Webcam, Card Reader, Bluetooth, eSATA, Garansi 1 tahun.